The draft resolution “On establishing for 2017 the allowed percentage of foreign employees used by economic entities operating in certain types of activity on the territory of the Russian Federation” which was prepared by the Russian Ministry of Labor was considered at the Commission meeting. Proposals for the establishment of restrictions on hiring foreign employees in sectors of the Russian economy, that are included in the text of the resolution, were developed on the basis of information received from the Russian Industry and Trade, Ministry of Construction of Russia, Russian Ministry of Agriculture, Ministry of Sports of Russia, Russian Ministry of Health and Ministry of Transport of Russia. Thus, the Resolution introduces the following restrictions: 1. The reduction up to 30% allowed percentage of foreign employees in the sectors: Land passenger transport (code 49.3) Road freight transport (code 49.41) 2. The reduction of allowed percentage of foreign employees from 40% to 30% for passenger transport. 3. The reduction of allowed percentage of foreign employees from 35% to 30% in freight transport According to the Central Committee of the All-Russian trade union of automobile employees these measures will contribute to greater transport safety and reduce unemployment among Russian citizens. Also the resolution establishes the allowed percentage of 50% in the cultivation of vegetables on the territory of Russia. This restriction applies to the whole territory of Russia, except the Krasnodar, Stavropol, Khabarovsk territories, Astrakhan, Volgograd, Voronezh, Lipetsk, Moscow, Rostov, Saratov regions. New grounds for unscheduled inspections of organizations. According to the adopted Resolution of the Russian Government unscheduled inspections for compliance with labor law will be carried out on new grounds. Thus, the inspections are carried out in the case Federal Labour Inspectorate receives reports regarding violations by employers of obligatory requirements, leading to non-payment or partial payment within the prescribed period of wages and other benefits owed to employees or setting of wages at a rate less than the amount stipulated by the labor legislation. Individuals, individual entrepreneurs and legal entities, the Federal Labour Inspectorate and other federal and local regulatory authorities, trade unions and the media could be applicants for such kind of violations reports. On the current moment unscheduled inspections on the basis of reports on violations of labor rights, working conditions and safety in the workplace have been already conducted. 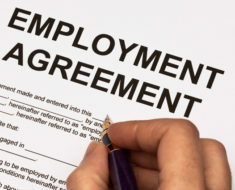 How Can a Minnesota Employment Lawyer Help You Protect Your Employment Rights? How To Pick The Best Employment Attorney? What’s a Staff’ Compensation Convention? What does personal injury include when filing a claim?